On behalf of the Board of Directors, a heartfelt thank you to all who supported Hospice House Harvest Happening 2018. 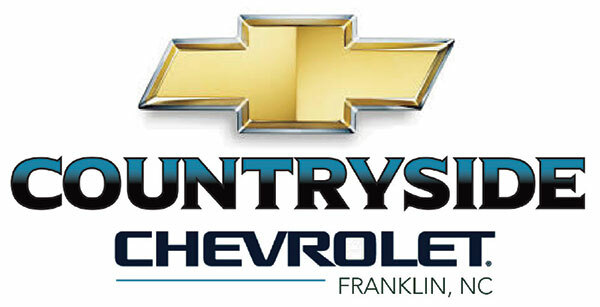 Roughly $10,000 was raised in support of our mission to bring a hospice inpatient facility to our rural mountain region. On behalf of the Board of Directors, a heartfelt thank you to all who supported the Foundation’s 2017 fundraising events! Roughly $135,000 was raised in support of our mission to bring a hospice inpatient facility to our rural mountain region. A total of $360,000 has been raised from Peaceful Journey dining events over the past three years! 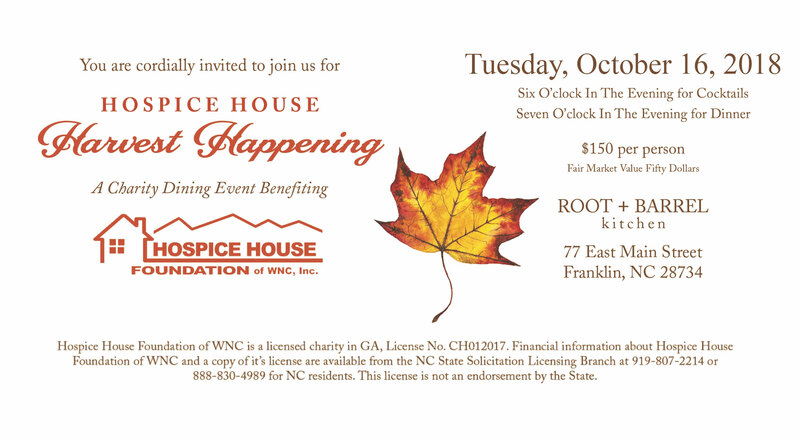 Hospice House Foundation of WNC (HHFWNC) is a 501(c)3. 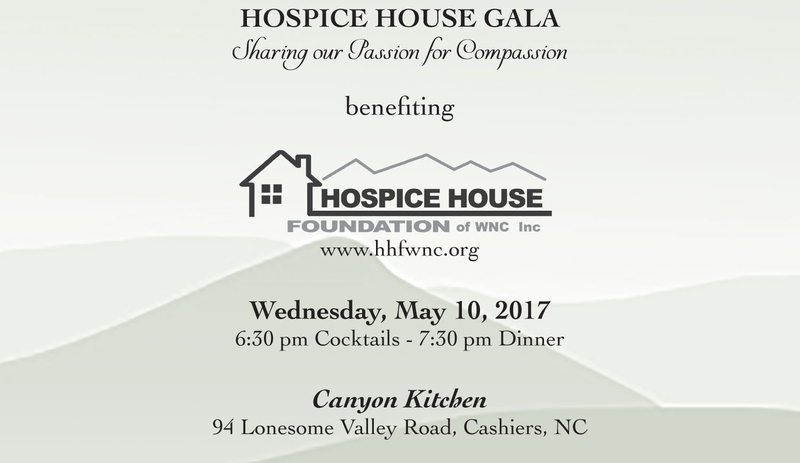 Its mission is to raise funds for a hospice inpatient facility that will serve western North Carolina. 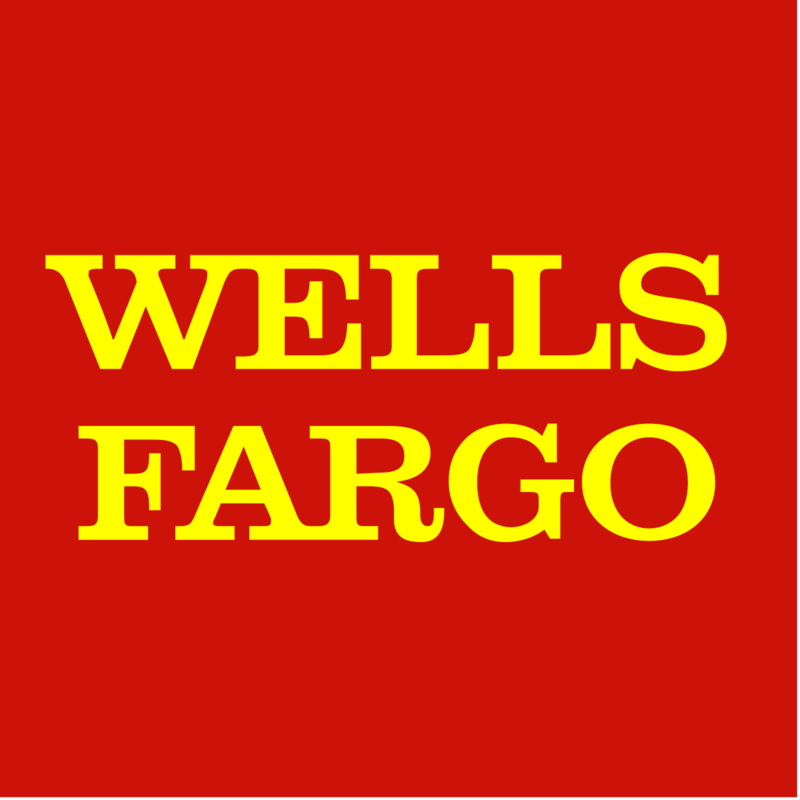 Financial information and a copy of its license are available from the NC State Solicitation Licensing Branch at (888) 830-4989. This license is not an endorsement by the State.